It's Friday! We made it!! Can you believe it's the last Friday in the month of April?! Why is this year flying by?! My head is absolutely spinning. 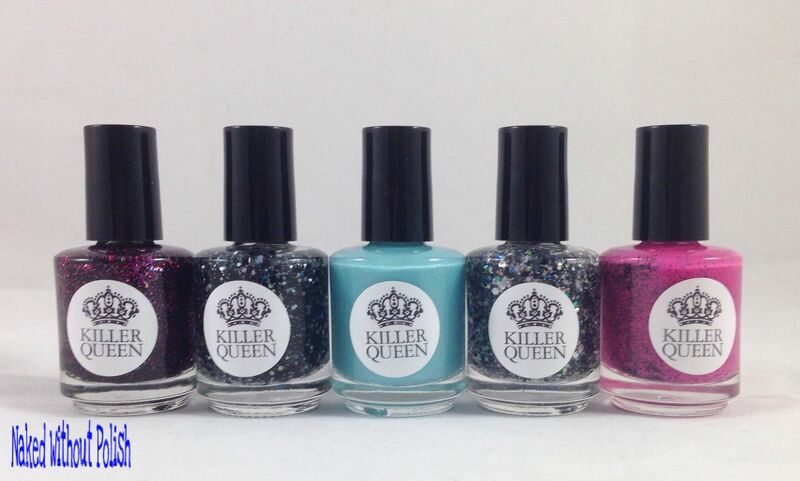 While I start spinning the opposite direction to try to slow time down, I've got some beautiful polishes from Killer Queen Varnish that will be releasing tomorrow. This isn't an actual collection, just some miscellaneous polishes that she has created that desperately need some tender, loving care in good homes. 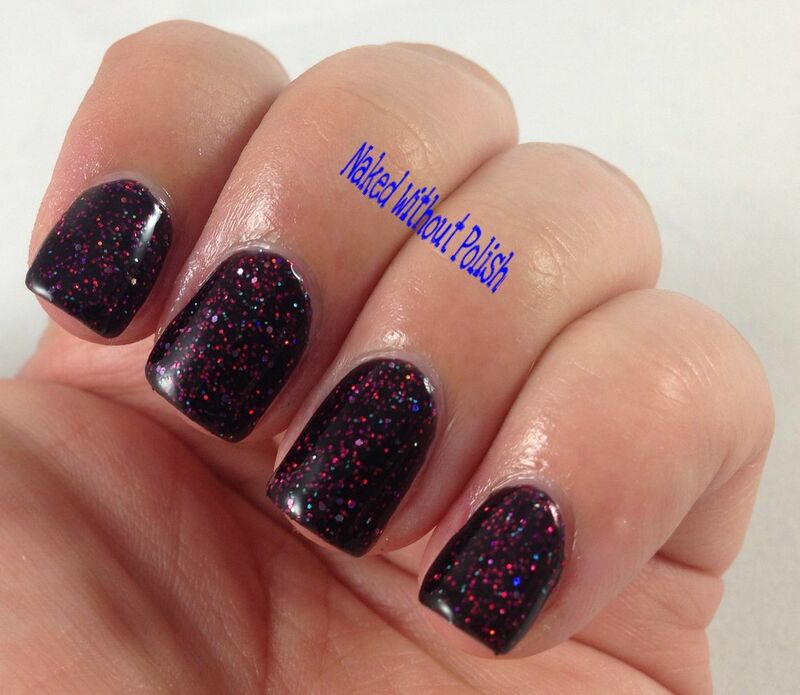 Lip Service is a dulled fuchsia crelly with matte black micro glitter. Shown is two coats of Lip Service. Lip Service has a buttery application and required no clean up. 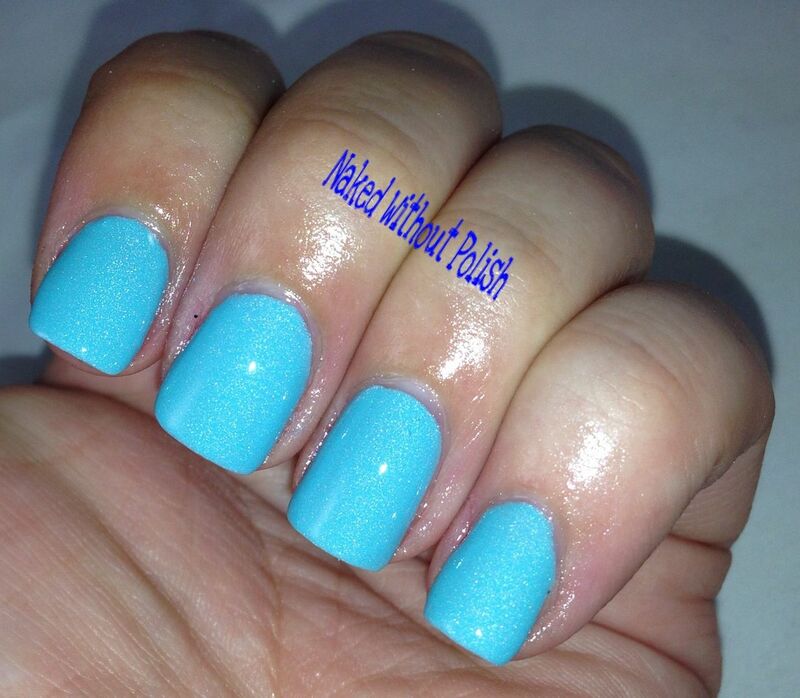 A beautiful polish named after the Elvis Costello song below. 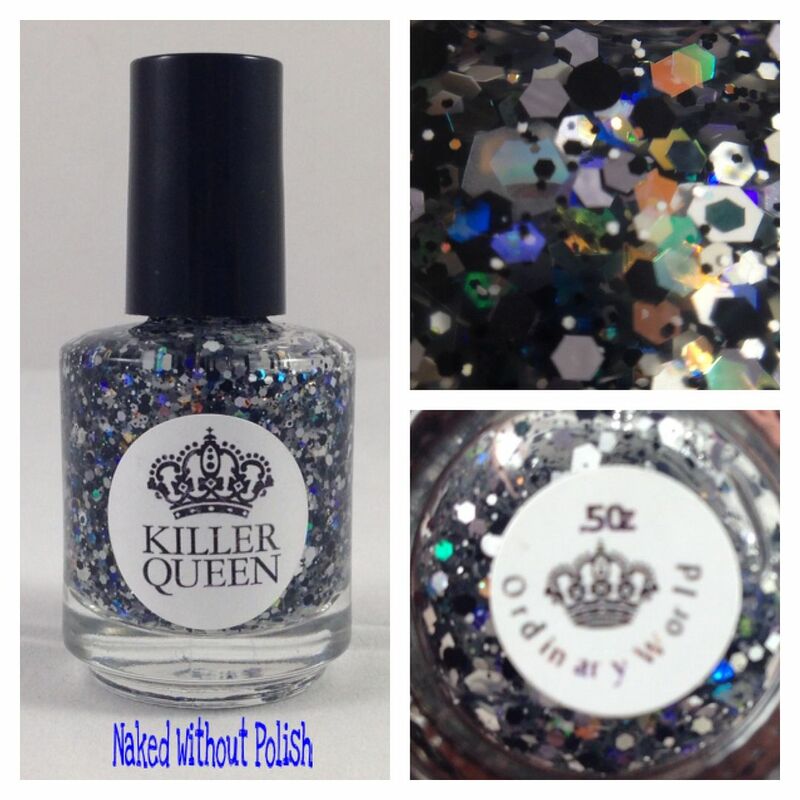 Ordinary World is a clear based glitter topper filled with matte black, grey, and white hexes and iridescent hexes in multiple sizes. 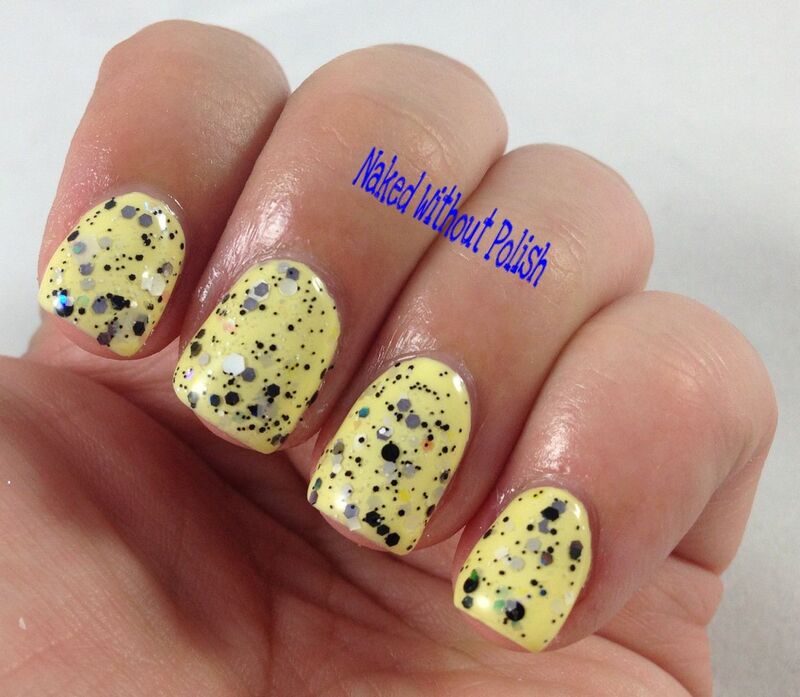 Shown is two coats of Ordinary World over Cult Nails New Day. 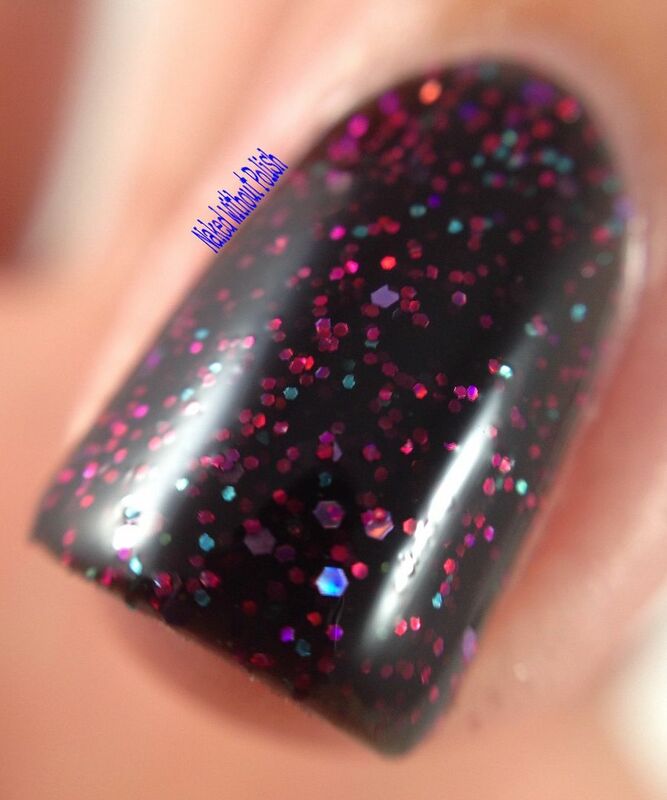 I also took photos with the flash to show off the iridescent glitter that might not have come out to play in the other photos. 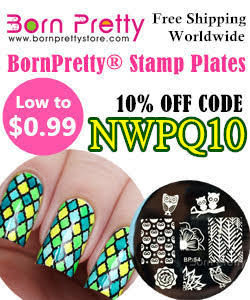 Ordinary World applied easily and didn't require any fishing. I wanted more glitter than came out on the first coat, so I added the second and couldn't be more pleased. Named after the Duran Duran song below, this beauty has a certain ethereal beauty to it just like the video. 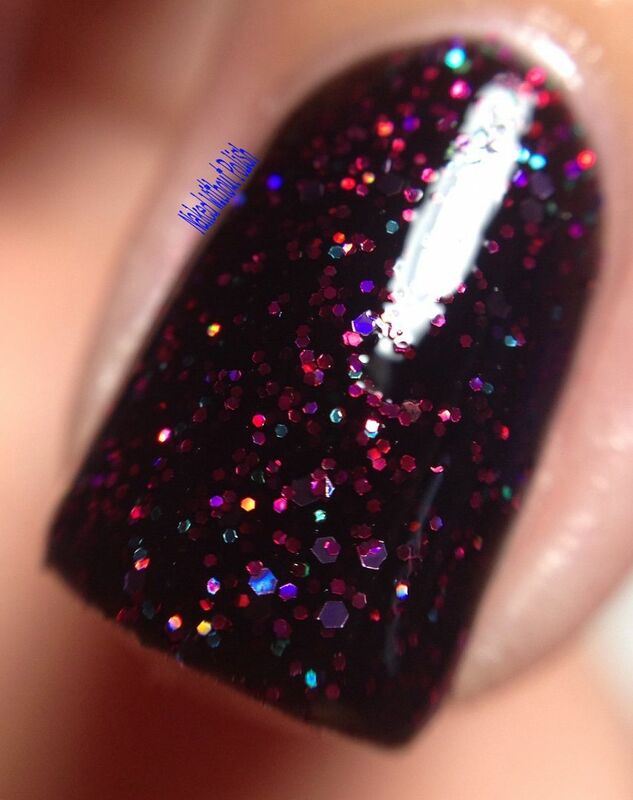 Pink Moon is a squishy black jelly filled with macro and small metallic and holo glitter in teal, purple, red, and magenta. 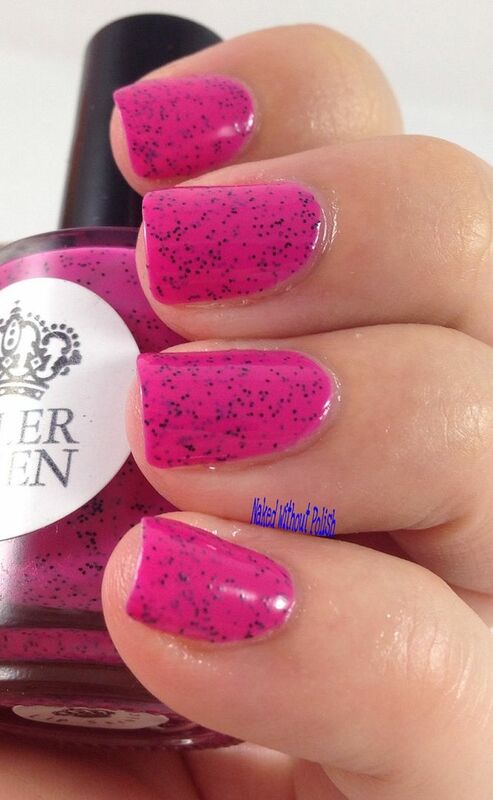 Shown is three coats of Pink Moon. 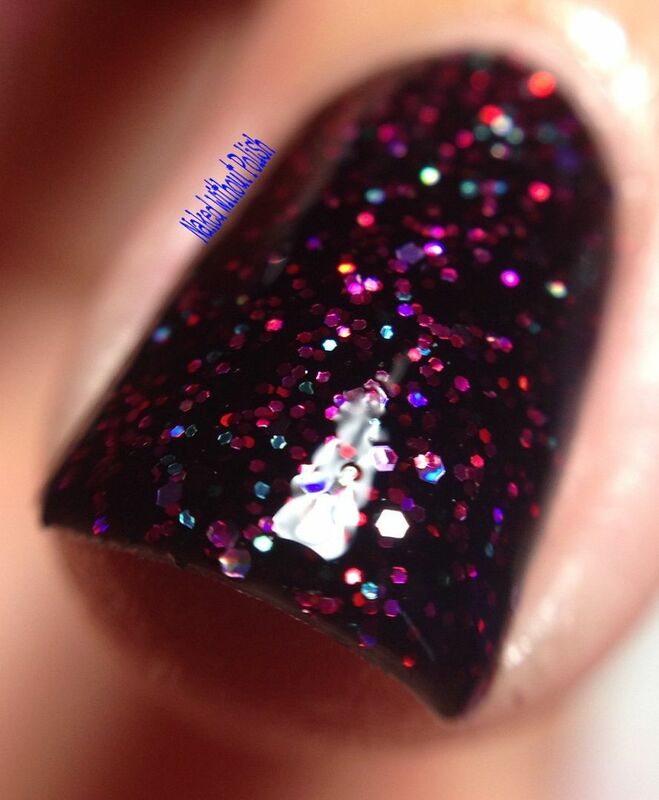 I took a couple flash shots of the macro to show off the glitter a bit more. Pink Moon is stunning!! Definitely in my top 3 favorite black polishes. 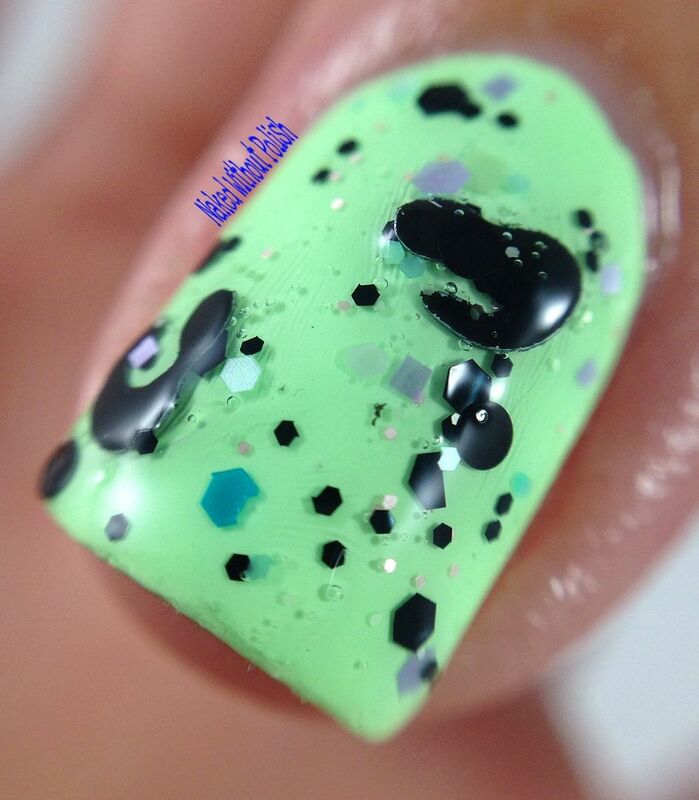 The jelly allows you to see the layers and creates a beautiful depth. Named after the hauntingly beautiful Nick Drake song below. 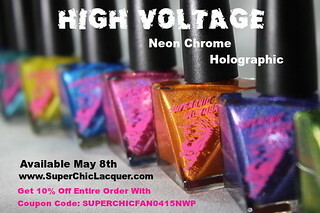 With all the beautiful polishes she sent me, somehow this jumped to the forefront to become my favorite. 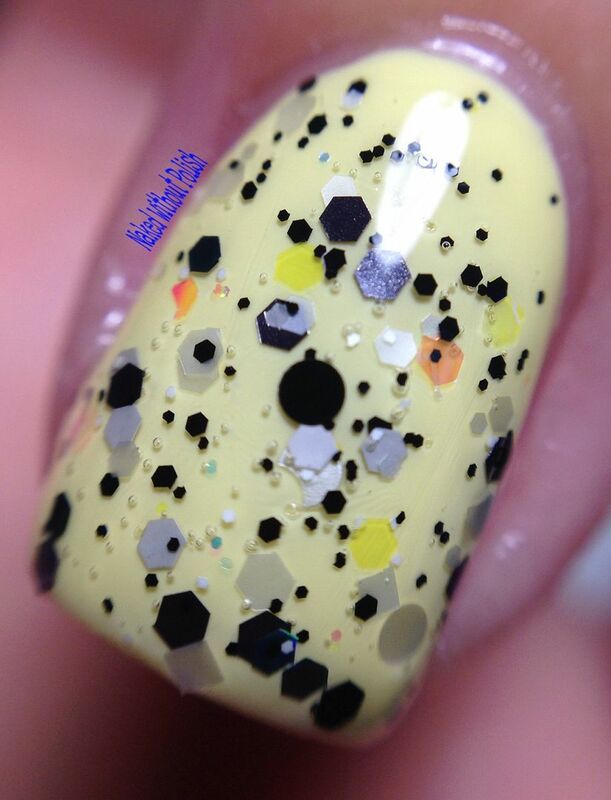 Walk on the Wild Side is a clear based glitter topper with matte black dots, matte black and white hexes in multiple sizes, iridescent glitter in different shapes and sizes, as well as matte black leopard spots. 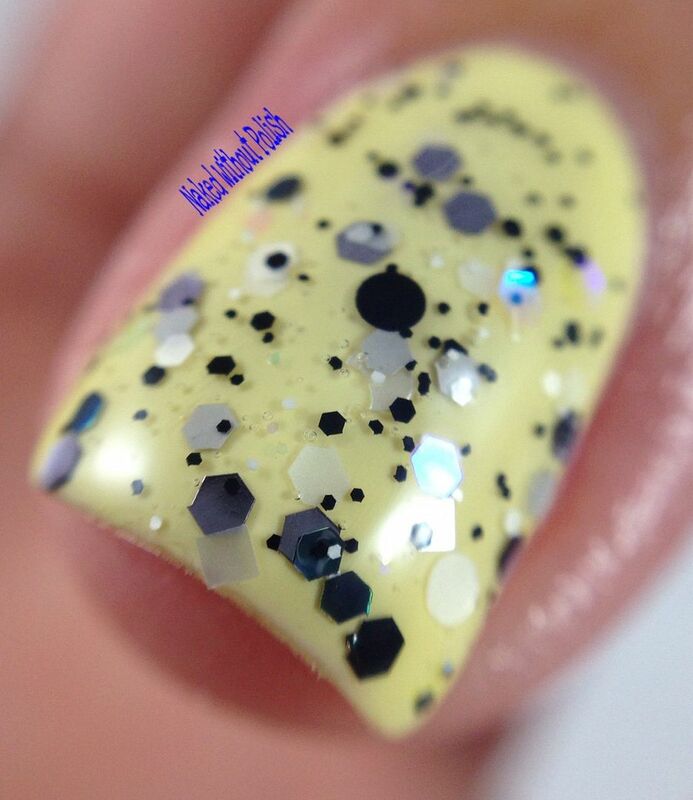 Shown is one coat of Walk on the Wild Side over Fresh Paint Honeydew. Walk on the Wild Side is so much fun! This is my first topper that has the leopard spots. 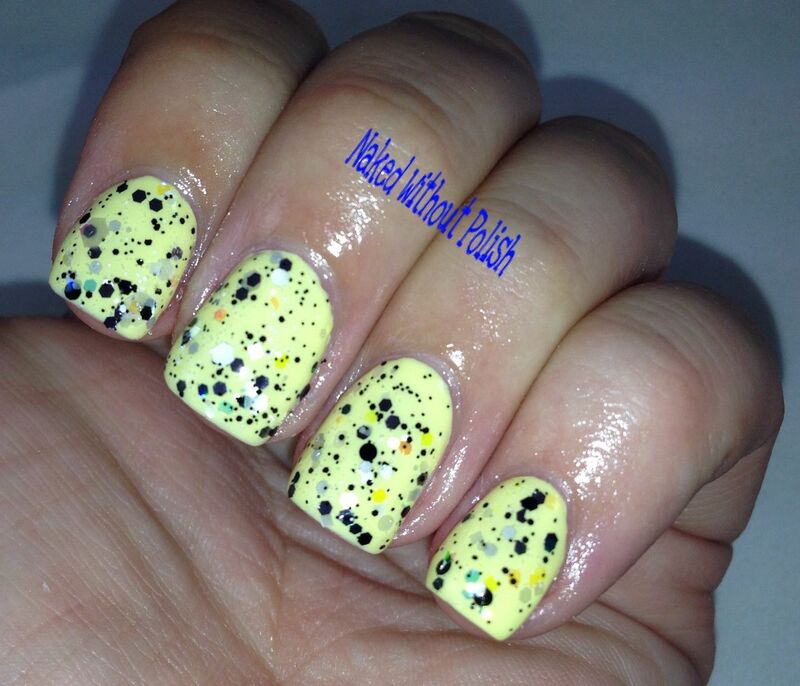 I wasn't sure if I was going to like them or not, since I'm not normally a fan of the funky shaped glitter. But I really do like this! 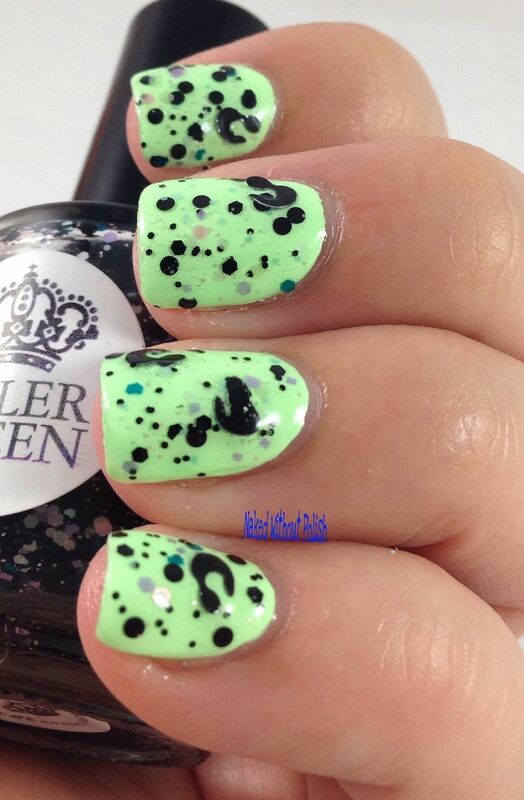 I didn't have to fish for the leopard spot glitter but I spaced them out accordingly. One nail originally didn't have any but more than I needed came out on another. A toothpick is your friend in this case. Named after the Lou Reed song below. 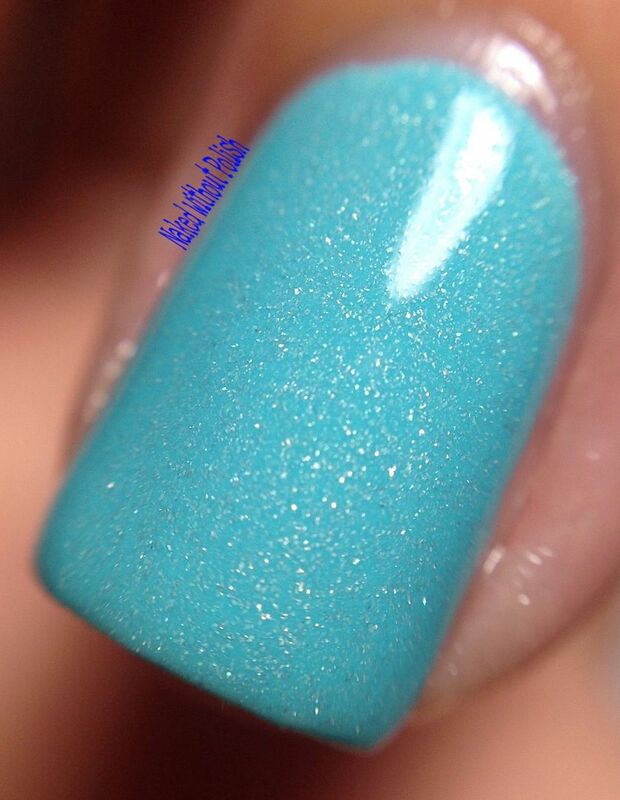 Head Underwater is a crystal-clear, sky blue creme filled with holographic and silver shimmer. Shown is two coats of Head Underwater with daylight lamps and with flash. 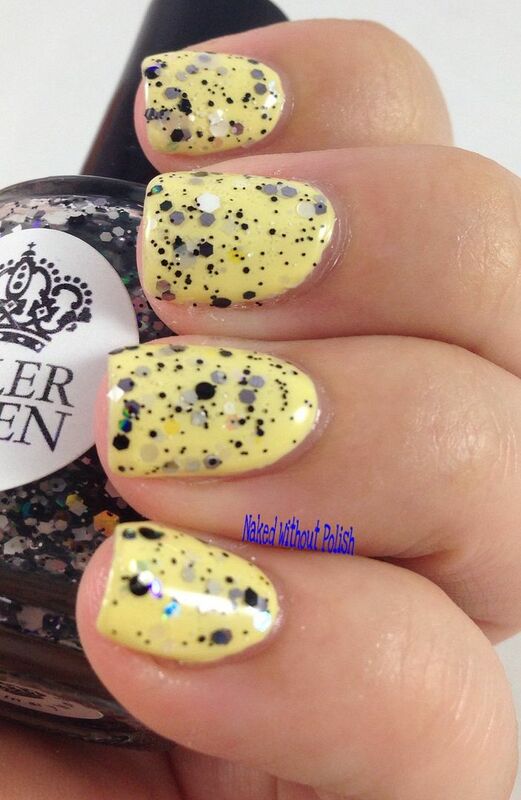 I don't know which is more fun, the polish or the Jenny Lewis song it is named after (below). 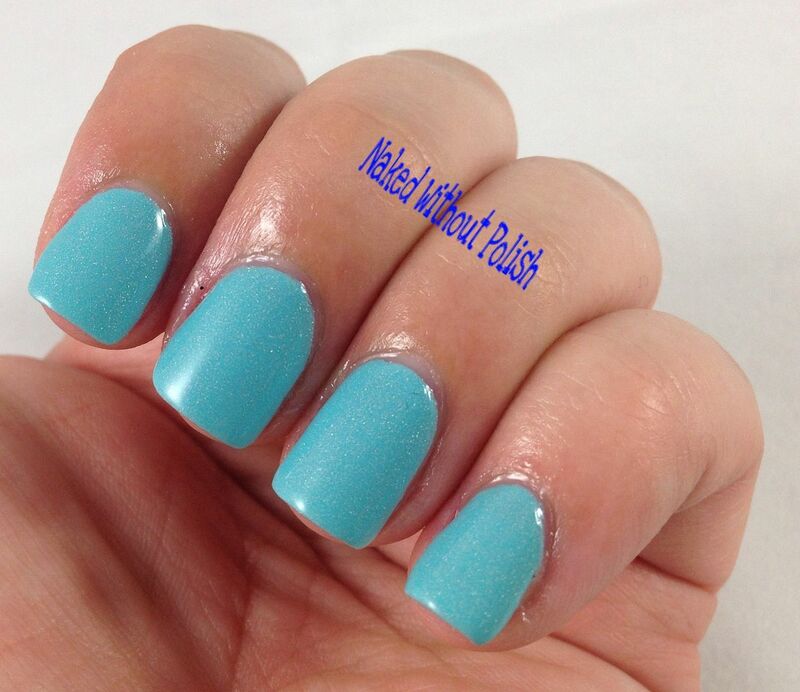 The color is absolute perfection, and the application didn't require any clean up. 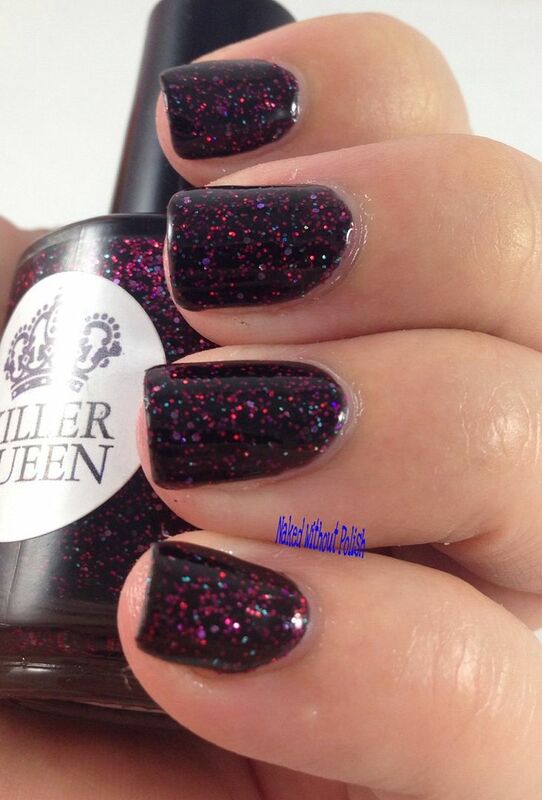 If you haven't tried Killer Queen Varnish yet, you really need to get on that. They are fun, outspoken, vibrant, and inspiring. Her shop has something for everyone and the prices are spot on. 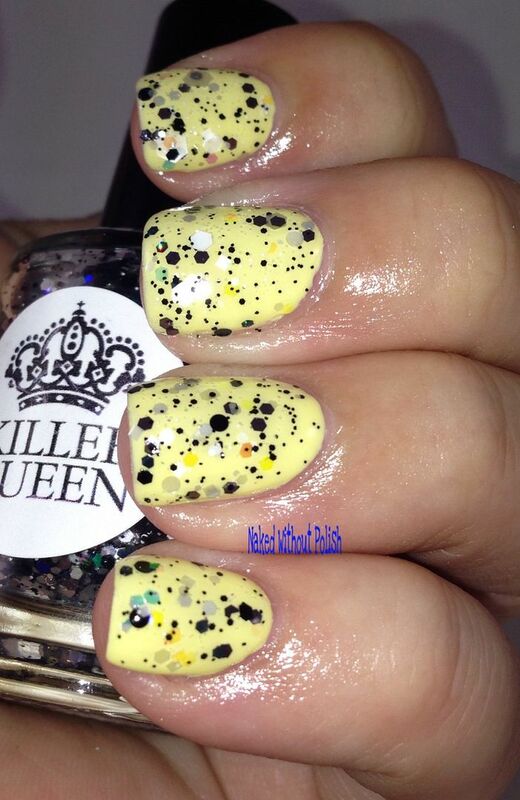 Killer Queen Varnish is simply perfection and climbing up my ladder of favorite indies (she's not paying me to say that, I promise!). Quality product and quality customer service. 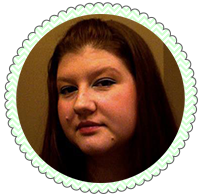 All her links are listed below. Please check her stuff out. You won't be sorry!